If you like Mary Kay products and have been thinking about changing your makeup foundation, read what I discovered in my Mary Kay Mineral Powder Foundation review. Mary Kay, like most makeup companies, produce mineral powder foundations with their own unique combinations of titanium dioxide and zinc oxide. There are no chemicals or dyes in any real mineral powder makeup. The makeup goes through a sifting and crushing process until it becomes a fine powder. Mineral powder is less likely to clog your pores, which is great if blemishes are a problem for you. The zinc oxide in this product is a natural anti-inflammatory that soothes and calms irritated skin. I love full coverage makeup, for example cream-to-powder foundation, so it was under duress that I even tried this product. I am a sun lover and do not always remember to wear sunscreen so I have a few "sun spots" on my face. I worried about having good coverage but my cream to powder makeup felt so heavy in the summer. Many of my friends were switching to mineral powder, women that I knew did not have perfect skin, so I decided to give it a shot. In order to apply mineral powder correctly you need to use the right brush. You can order Mary Kay's brush or purchase a kabuki brush at any cosmetic store. The kabuki brush has a flat-bottom, which traps the foundation and helps you distribute the make up more evenly over your face. I first washed my face and moisturized it. My Mary Kay Beauty Consultant instructed me to allow the moisturizer to dry before applying the makeup. After a few minutes, I opened my jar and removed the protective plastic seal inside. I returned the lid to the makeup and tilted it upside down. This puts the makeup in the lid of the jar. After opening the jar carefully, I swept the kabuki brush across the powder. I started applying the powder to my face at my forehead and worked my way down. I swirled the brush in small circles distributing the makeup on my face and neck. It was easy to use and took less time than my regular makeup application. My forehead, cheeks and chin looked great. The coverage in these areas was smooth and flawless. Around my eyes, the coverage rather waned. I washed my face and reapplied the makeup after first putting some concealer around my eyes. It was much better the second time with the concealer. The mineral powder foundation had covered my "sun spots" brilliantly but the dark circles under my eyes were not hidden by the makeup without help from a concealer. I was impressed with the durability of this product. I give this product an "A" for staying power. I had all-day coverage without too much transfer and no sliding away as my cream to powder makeup does. You can only buy Mary Kay products through an independent consultant. If you do not know a representative, go to the Mary Kay Cosmetics website and use the Independent Beauty Consultant Locator at the top of the page. Most consultants have a website that you can order products through and some even make deliveries. The cost without tax is $18.00. Overall, I liked this product, especially the durability and the ease of use. 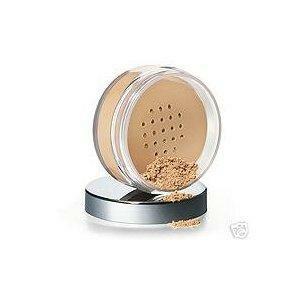 This powder tends to scatter during application, though, so protect clothing when applying this makeup.